1. Contextual backlinks by Social networks Profiles & Do Follow. Other Campaign: Unlimited Social Website Traffic. FaceBook Page, Niche Site, Blog etc. 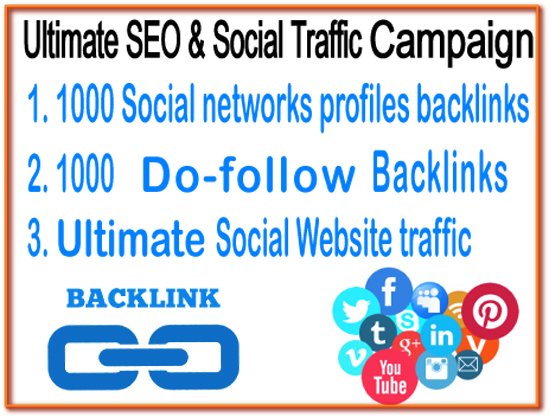 Ultimate SEO & Social Traffic Campaign - 1000 Social networks Profiles Backlinks- 1000 Do Follow Backlinks - Unlimited Social Website Traffic is ranked 5 out of 5. Based on 10 user reviews.